This weekend, we pick one more act for the 2017 Eurovision Song Contest, and it is Switzerland. It won't bring any male voice into the competition because every finalist is a female vocalist. And the first one you get to discover is Freschta! Hello Freschta! First of all, could you please introduce yourself? My name is Freschta and I live in Switzerland. My song Gold was selected for the Swiss ESC decision-making show. For me, it all started with my participation at The Voice of Switzerland in 2014. I reached the semifinal. After The Voice, there were some projects in the music business offered to me, but in the past years my focus was on a vocational training in the commercial sector, which I will complete in 2017. My first application for the ESC was in 2015 and now I'm happy that the Swiss jury liked my song Gold. 2017 is also the year in which I want to promote my musical career with my first own album. What about your song Gold? My producer came up with the idea of a new attempt for ESC. I met him for the first time on The Voice, and he knew that I would like to join the ESC. My friend Ira May wrote the song Gold for me. Ira May is a Swiss singer and songwriter and her own albums reached the top 10 of the Swiss album charts. My favourite Swiss entry was Time to shine from Mélanie René. I think she has a wonderful voice and the song is powerful and uplifting. Tell us about your relationship with music! Music is with me, everywhere. When I`m fine, I listen to music, so that I can feel even better and when I'm in a bad mood, music comforts me. And I like to listen to every kind of music except for heavy metal. My favorite Swiss artist? Since I could get to know Stress (a rapper) and the singer Ira May personally, these two singers are especially close to my heart. But in general, Switzerland has a diverse musical scene that is worth discovering. Do you have any link with your neighbouring country? A message to pass on? I lived and worked in France for some weeks in the context of a language stay and I have family members living in this beautiful country. 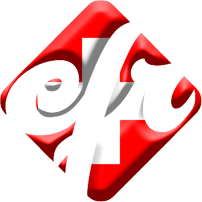 Eurovision-fr.net, thanks for the support and best wishes to the EFR12 listeners. For updates follow me on Facebook and visit my hompeage. There will be more music soon! To all Eurovison fans in Switzerland: Vote for me at the Swiss final if you like my song Gold. Last but not least: Have a lot of fun with the Eurovision Song Contest 2017! Freschta, thank you very much for your answers and for the personnalized picture! She will compete, with her song Gold, against the five other acts at Sunday's Swiss national selection for the 2017 Eurovision Song Contest!